Description: (Northern) Gentian is a genus of flowering plants belonging to the Gentian family (Gentianaceae). Gentian reaches a height of 9 inches and is found in lime-rich soil, dry, hilly pastures and in dunes. 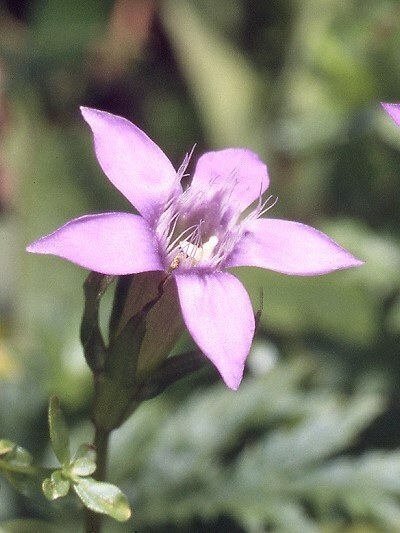 There are many different types of gentian; however, for Bach flowers, only bitter gentian (Northern gentian) is employed. Gentian is a biennial plant. The five-petaled purple/violet flowers blossom from August to the beginning of October.